With multi-answer survey questions you can collect a series of related responses. Use this type of question to design concise surveys. 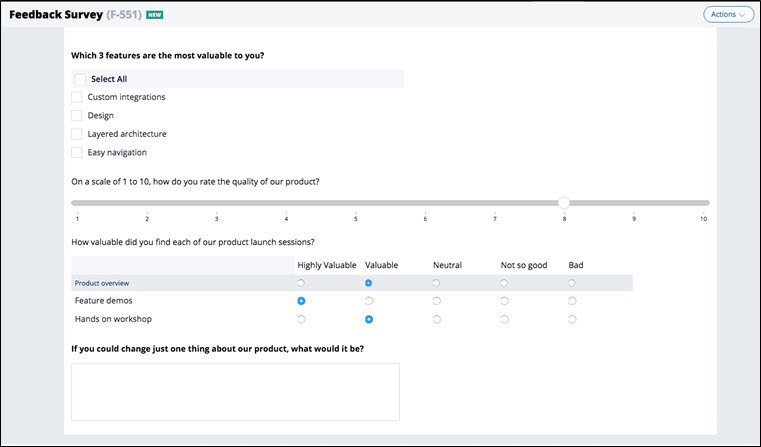 For example, you can ask users to select spoken languages from a checklist or to evaluate the quality of product features. The following figure illustrates some of the formats, such as a radio button matrix, that multi-answer questions support. To save time, you can reuse multi-answer questions from your question library. For more information about including multianswer questions in a survey, see Designing a survey.